New genetic modification techniques have allowed geneticists to engineer cows that secrete allergen-free milk and pigs that can serve as models for atherosclerosis. The cows lack an allergy-inducing protein, which was blocked accurately using RNA interference. In the pigs, scientists used the TALEN enzyme to scramble a gene that would normally help remove cholesterol. Researchers published their findings in the journal Proceedings of the National Academy of Sciences (1, 2). RNA interference and TALENs are far more accurate than earlier techniques. It’s taken years for scientists to be able to remove the allergy-inducing milk protein beta-lactoglobulin from cow’s milk, which can cause diarrhea and vomiting in some toddlers. MicroRNA targets the beta-lactoglobulin messenger directly to prevent the translation of the gene into a protein. 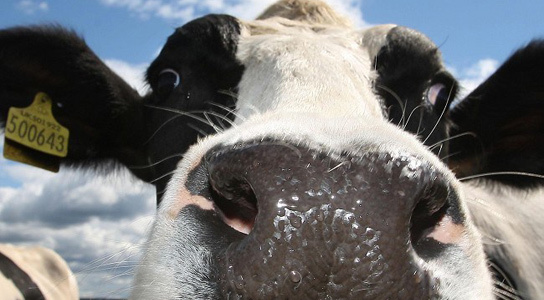 Out of 100 genetically modified cows, only one calf yielded beta-globulin-free milk. TALENs can target specific DNA sequences in the genome. As the subject’s body tries to repair the break, mutations are introduced that render the targeted gene non-functional. TALEN technology is quick and leaves no mark upon the genome. The researchers are mimicking evolutionary processes with precise, man-made editors. TALENs were used to disrupt genes encoding the low-density lipoprotein receptors. Without these receptor proteins to remove cholesterol-containing LDLs from the blood, LDLs build-up and lead to atherosclerosis. Pigs with this condition could become reliable models of human atherosclerosis in biomedical research. Using the TALEN-modified pig to model human heart disease makes genetic engineering less costly and more efficient. 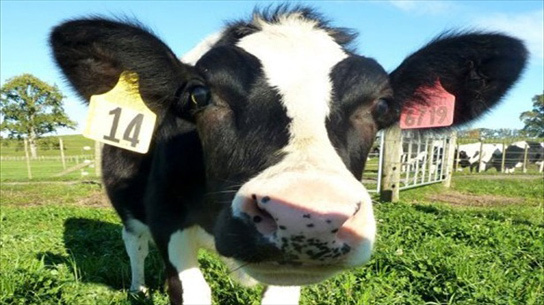 Be the first to comment on "New Genetic Modifications Result in Cows with Allergen-Free Milk"